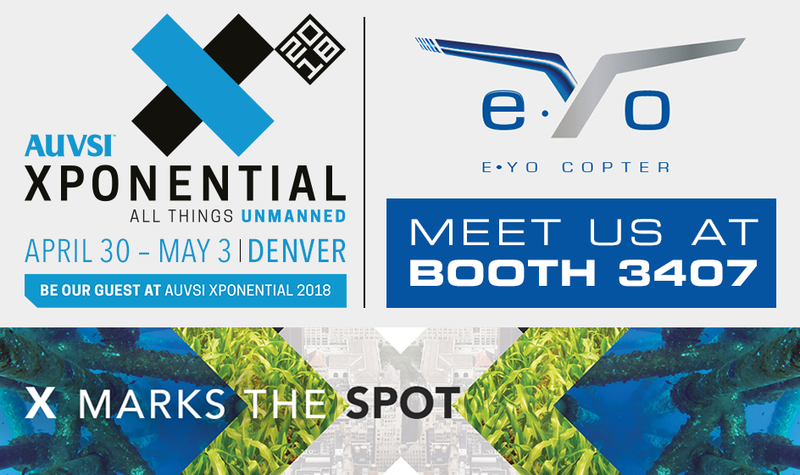 Happy to announce the presence of e·Yo Copter at AUVSI Xponential 2018 exhibition – Booth 3407 in Denver from 30th April au 3rd may 2018. Please visit us at our Booth no.3407. © e.Yo Copter. All rights reserved.